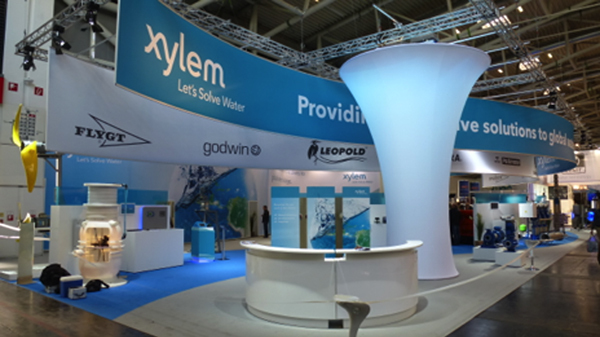 Product Brand Logos | Xylem Inc.
Be sure to only use the lockup files as provided for download on this site. Do not alter them in any way. Use the key accent color within the magenta area of the product brand wave graphic (available for download from the Wave Graphic page on this site) and throughout an application to complement the standard Xylem color palette, typography and photographic style. A sample application, using the Bell & Gossett product brand, is illustrated below. 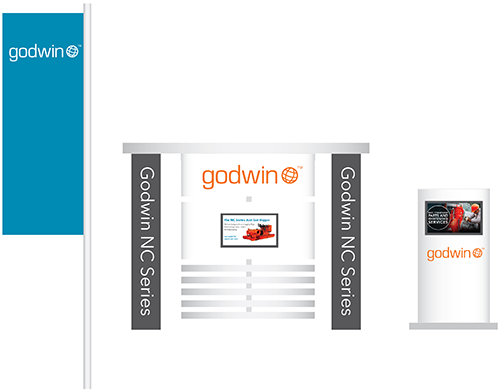 For additional information about our collateral or tradeshow booth design guidelines click on the relevant links. When there is an opportunity for company sponsorships (example, Xylem sponsors a tradeshow and the tradeshow asks to put the Xylem logo on signage), both the company/tradeshow logo and the Xylem brand lockup can be shown in color. To ensure that our logo and tagline are always legible, we have developed recommendations for the smallest size at which it can be safely reproduced for print and onscreen applications. The endorsement tagline should be no smaller than 0.6 inches (15 mm) wide for print applications and 60 pixels wide for onscreen applications. Sub-brand logo lockups are never to be translated.